Great photo. 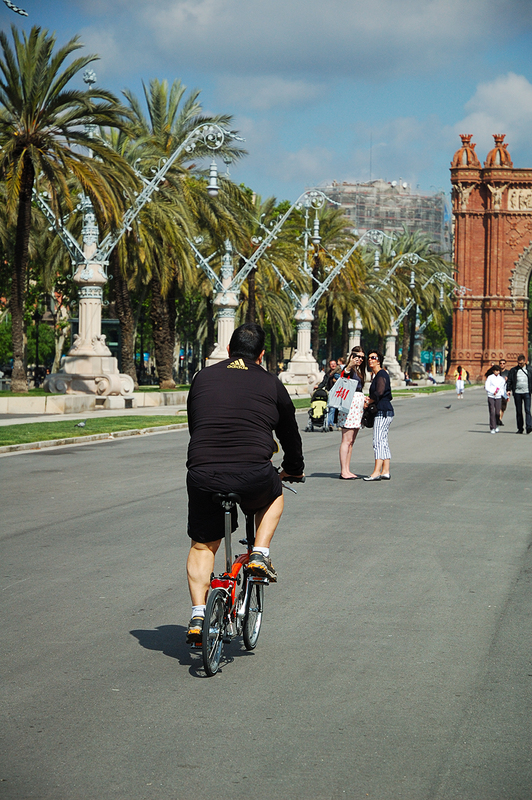 It reminded me of the last time I was in Barcelona when I saw a bloke riding a bike down the Avinguda Diagonal and he was totally starkers! One of the things I love about Barcelona is how varied the designs of the lamp posts are. These are particularly unusual. Don't think I've ever seen anywhere with such great lamp posts and street lights. This was the first thing I saw when started my year long stay in Barcelona. what beautiful surrounding! I wish I could ride a bike around there, too! I loved this area of Barcelona when I was there. I particularly liked the Parc de la Ciutadella and how it leads to this Passeig with its beautiful lamps and open space. I found some areas of the city especially well-designed; this was one of them. Thank you for the lovely photo.